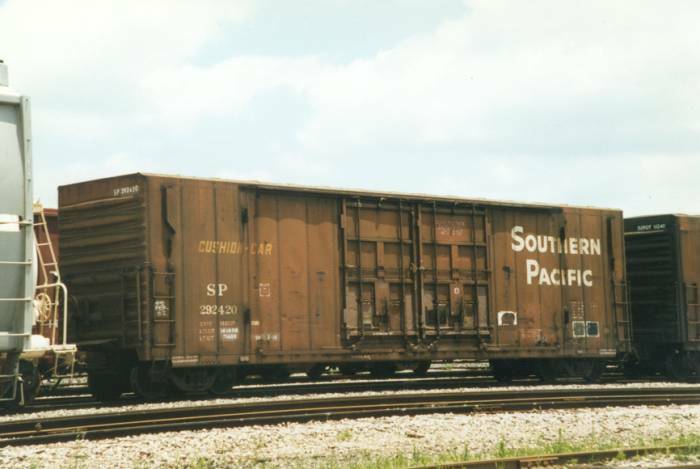 These 50'-6" box cars were all built to the same basic design by PC&F in 1970 and featured 5116 ft3 capacity and double 8' Youngstown plug doors. 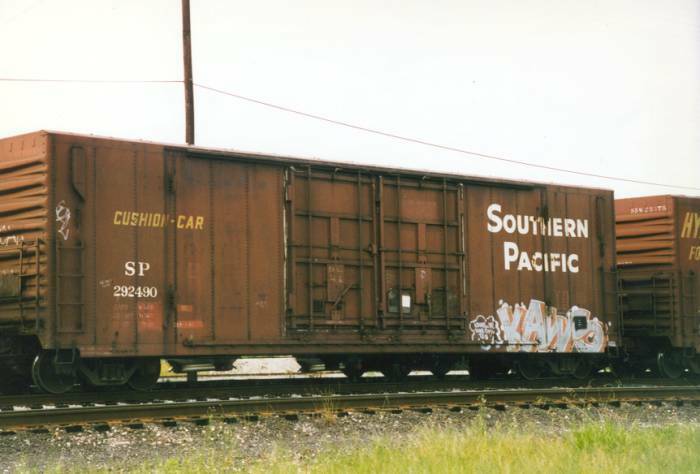 These cars were bought second hand from EFCX (Evergreen Freight Car Corp.) in 19??. 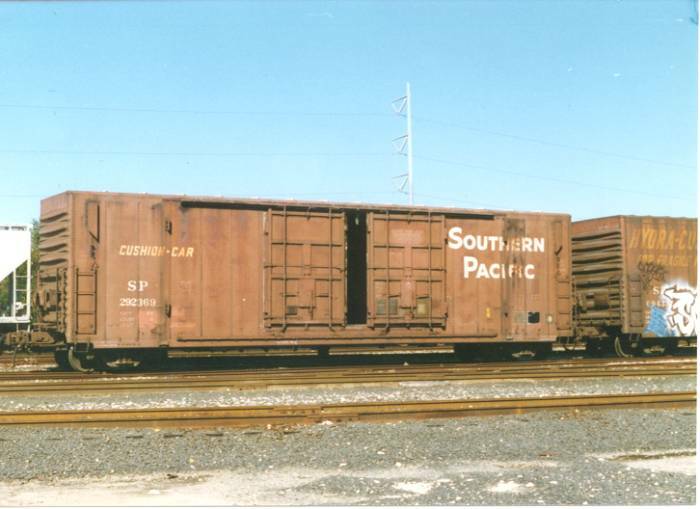 They featured a unique vent system for carrying paper pulp. Evidence of this can be seen by the boxy structures loacted at the ends of the sides. 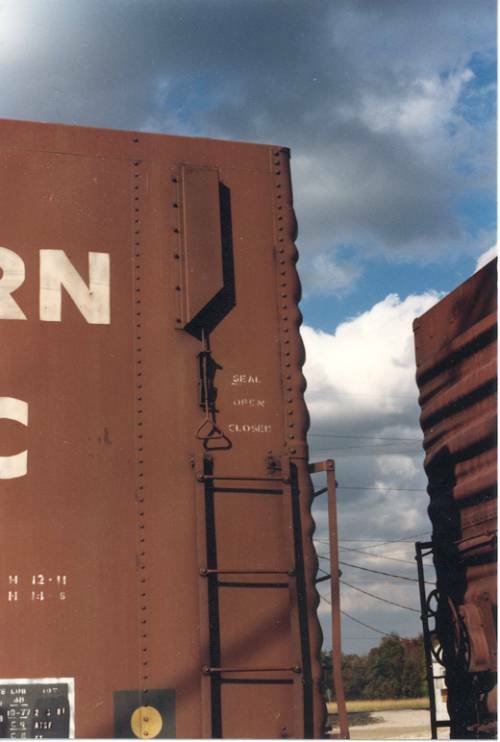 A cable system is used to open and close the vents. Thanks to Jim Eager for information on these cars.